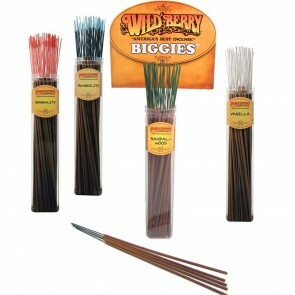 Wild Berry Garden Incense Sticks - Biggies (Biggies Incense Stick length 48cm). Huge stick, HUGE fragrance! Available in 24 fragrances. Our Biggies are incense sticks with the same distinctive colour as their short and regular companions. 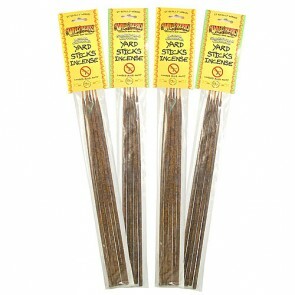 Biggies are sold in a pack of 5 incense sticks. Each stick will burn for around 3 hours. Also available as "insect repelling" Yard Sticks.